UN: What future for the humanitarian capital of the world? GENEVA, 7 April 2015 (IRIN) - Most won’t call it a cut-back, let alone a withdrawal. Instead they use words like ‘restructuring’, ‘rationalising’, or even ‘stabilisation’. But whatever you call it, a spike in the value of the Swiss franc in January has escalated discussions among humanitarian and human rights agencies in Geneva about scaling down operations in one of the world’s most expensive cities. With an unprecedented number of crises around the world already stretching the budgets of many aid agencies, and funding struggling to keep pace with rising needs, some agencies are quietly concluding it may be time to move some of their operations out of the city known as “the humanitarian capital of the world”. Geneva has long been seen as the historic home of humanitarianism, thanks to the creation of the International Committee of the Red Cross (ICRC) by a group of its residents in 1863. “International cooperation was born here,” reads a government brochure. The city hosts 31 UN and international organisations, some 300 NGOs, and 172 diplomatic missions, who are the source of one in 10 jobs provided in the Canton of Geneva and contribute nine percent of its GDP. But in recent years, just as the government has been trying to raise the profile of “International Geneva”, a few agencies have left due to the high cost of operating here. And the drastic rise in January in the value of the Swiss franc has only made things worse. After a 15 January decision by the Swiss National Bank to abandon an exchange rate ceiling with the euro, the value of the Swiss franc rose by 30 percent against the euro within two days. For organisations funded in euros or US dollars, but paying salaries and rent in francs, costs skyrocketed suddenly. Just before the currency swing, the Economist Intelligence Unit had published its Worldwide Cost of Living Survey, in which Singapore was listed as the world’s most expensive city. It was forced to publish a revised version, with Zurich and Geneva now at the top of the list. According to real estate giant Cushman and Wakefield, office space in Geneva costs an average of US$785 per square meter but can go as high as $956 - cheaper than cities like London ($2321) and in some cases Paris ($978), but more than Budapest ($375) and Copenhagen ($377). Even before the spike, ICRC had been working to reduce the size of its headquarters in Geneva, currently at 800 staff. "If the delocalisation of the logistics service [out of Geneva] reduces costs, we will do it, but in such a way as to limit the impact on our staff," ICRC President Peter Mauer told a press conference last year. “Following a constant growth over the 10 past years, our aim is to stabilise the headquarters budget,” said Dorothea Krimstasis, deputy head of public communication. “This means reducing functioning costs at headquarters by 1.5 to 2.5 percent a year (3 to 5 million CHF each year) from 2014 to 2018.’’ Some IT services are being moved to Belgrade while some finance services have already moved to Manila, she said. Organisations are wary of saying publicly that they are cutting back in Geneva. The Swiss government is an influential donor and the city remains the center of international diplomacy and cooperation. But even the main UN headquarters is looking to cut costs. UN Secretary-General Ban Ki-moon has said the UN will reduce its budget in 2016-17 to accommodate the current financial difficulties facing many contributing member states. According to Corinne Momal-Vanian, former director of the UN Information Service, Ban has asked heads of different departments, including those in Geneva, to identify savings. For its part, the Office of the High Commissioner for Human Rights has been considering moving 50 posts out of Geneva to regional centres. It attributes this shift to growing needs and insufficient funding – a $25 million budget shortfall at the end of 2014 certainly put pressure on identifying ways to reduce costs. The Swiss government and others argue that public perception – particularly in the Swiss press – exaggerates the scale of departures from the city. 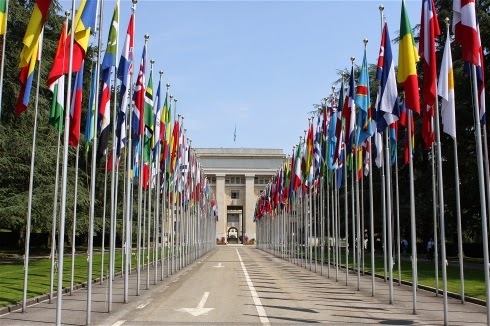 “Posts are indeed being moved out of Geneva to locations with lower costs,” spokesperson Pierre-Alain Eltschinger told IRIN by email, adding that as a UN member state, Switzerland is in favor of cost efficiency. But he said the number of international civil servants working in Geneva has remained stable over recent years. “In general, we do not think that the relocation of some administrative units to countries with lower costs threatens International Geneva,” he said, using the government’s term for the concentration of international organisations, think tanks and diplomatic missions in the city. Still, the Swiss government has recently tried to strengthen the attractiveness and competitiveness of Geneva, he said. Other cities are similarly vying to lure UN agencies, which can be a boon for local economies. Copenhagen, for example, has built a “UN City” where it offers some agencies free rent. Michael Møller, Director-General of the UN Office in Geneva, is confident the "incredible value brought by International Geneva to the world" far outweighs the costs. He has spearheaded a project to change the perception of Geneva as a sleepy bureaucracy to a place where the most important global decisions are made. He described Geneva’s international impact as "staggering – from formulating ideas that shape policies to standards that increase safety in our daily lives; from mobilising resources to achieve development goals to humanitarian action and emergency relief."